My mum and dad called me Lucia because it means 'light' in Italian. Italy is a special place to our family. A long time ago, more than a thousand years, there was a young girl called Lucia who lived in Italy. She was very kind and made food to give to poor people and helped those that didn't have anything, they were hiding in caves from the Romans. She wore candles on her head so that she could see in the dark caves and carry her tray. Now, every year on the 13th December people in countries like Italy and Sweden celebrate Saint Lucia Day, it is a festival of light. We remind ourselves to be kind and that our kindness can bring light to people wherever we do. 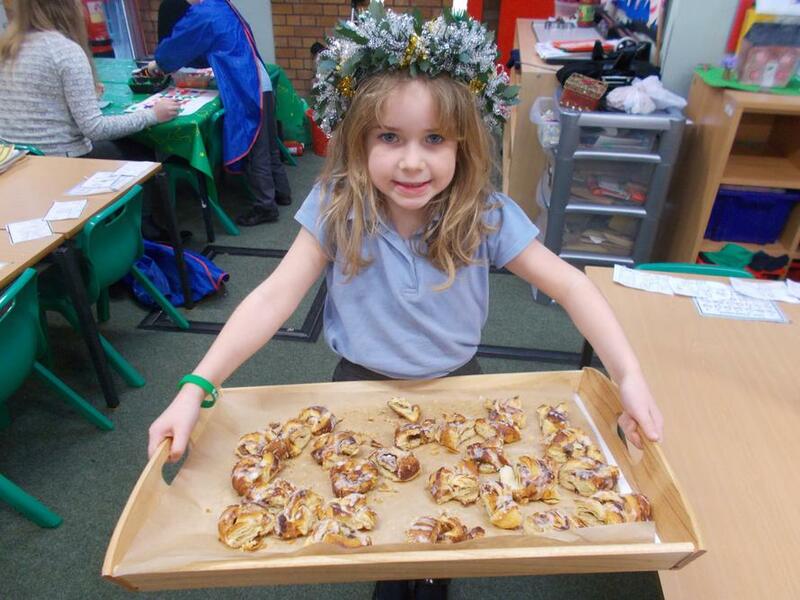 One girl from each town dresses up as Lucia, with a wreath made from leaves and candles on her head, she carries round sweet buns to everyone to show how important sharing is. 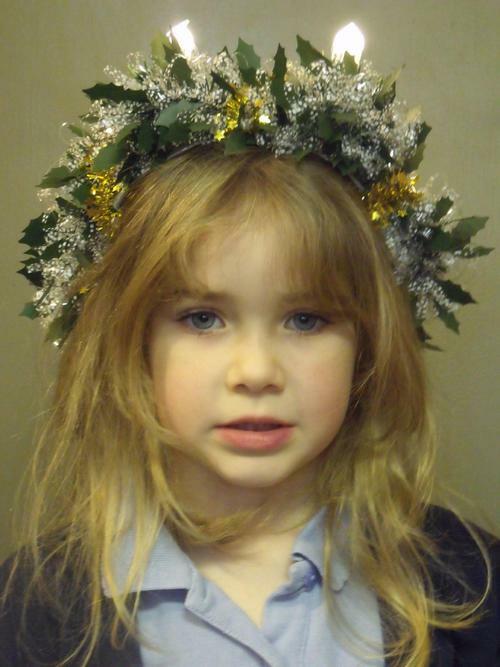 Boys wear tall pointy hats decorated with silver stars. I hope you enjoy sharing this sweet cinnamon bread with me,.